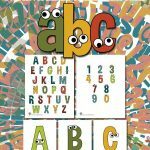 This post comes from a request from a reader, who was looking for a printable alphabet set in color rather than black and white. 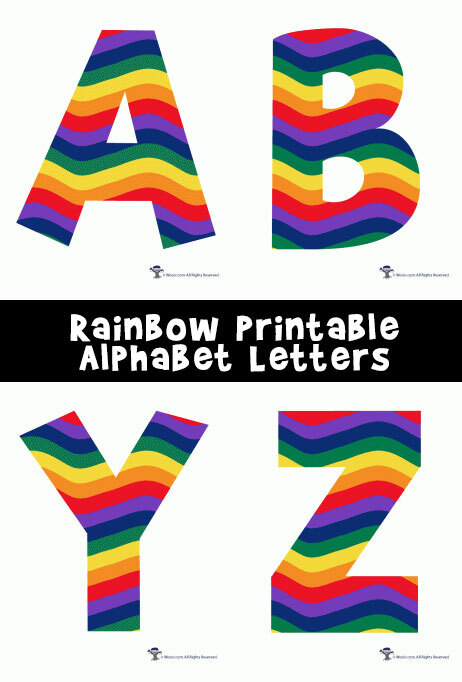 What better way to add color to alphabet letters than with RAINBOWS?! 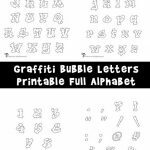 🙂 Our bubble letters are consistently popular year round, and so many of you use them for so many things: craft patterns, banners, signs, school projects, art projects and more. You can get really creative and print them onto fabric, iron ons, or other cool ink jet papers to make pillows, t-shirts and more. 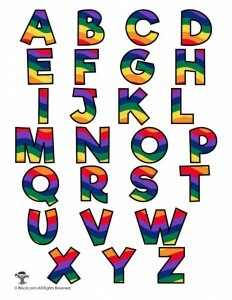 What are you going to use these letters for? 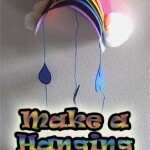 Leave a comment so that other people can get even more creative ideas to have fun with these! 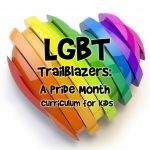 You may even use these printables for commercial projects – you just may NOT resell these images or redistribute them. They need to be incorporated into your own design if you’re going to use them commercially.